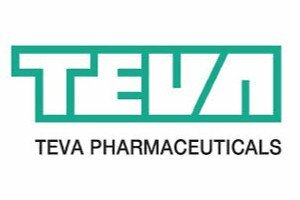 Teva Pharmaceuticals Industries announced yesterday that the U.S. Food and Drug Administration (FDA) has asked for more data on SD-809 (deutetrabenazine), which is currently under review to treat Huntington disease (HD), a rare, inherited neurodegenerative disorder. 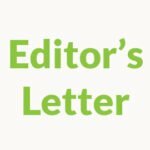 The request for more data is common when the FDA is asked to approve new medications, and this is the first deuterated compound to be reviewed by the FDA. Michael Hayden, M.D., Ph.D., Teva’s president of Global R&D and chief scientific officer said Teva plans to respond to the request in the third quarter of 2016. Deutetrabenazine was investigated in the First-HD study, a Phase 3 clinical trial which was led by the Huntington Study Group (HSG) on behalf of Teva Pharmaceutical Industries. In the double-blind, placebo controlled trial, deutetrabenazine significantly decreased chorea, the involuntary movements that many individuals with HD experience. “We are grateful to the patients and families who have participated in First-HD and helped us get to this point. 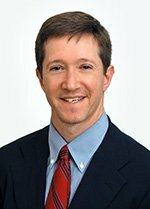 HSG will continue its role in the clinical development of this product with TEVA,” said Samuel Frank, M.D., Huntington Study Group’s principal investigator for First-HD and a movement disorders specialist at Beth Israel Deaconess Medical Center. 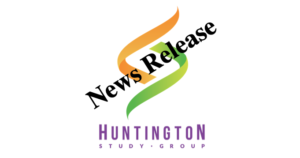 Huntington Study Group’s co-principal investor is Claudia Testa, M.D., Ph.D., associate professor of Neurology at Virginia Commonwealth University. Most individuals with HD experience chorea during the long course of the disease, which averages 15-20 years. Huntington disease is an autosomal-dominant, inherited disease that usually manifests in people in their 30s and 40s, though some people are affected as early as childhood and others don’t experience the diseases symptoms until much later in life. The disease is caused by the death of brain cells known as medium spiny neurons, which are killed off by a mutant protein. The disease brings with it an array of symptoms besides chorea, including cognitive problems, changes in personality, and psychiatric problems like depression. Because HD is autosomal dominant, each child of a person with HD has a 50 percent chance of inheriting the disease. For more information about HD, visit www.huntingtonstudygroup.org. Deutetrabenazine is structurally related to tetrabenazine with deuterium atoms placed at key positions in the molecule, prolonging plasma half-life and reducing metabolic variability, without changing target pharmacology. 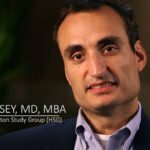 Much of the work that led to the completion of the First-HD trial was carried out by the Huntington Study Group, a non-profit network of 400 Huntington disease experts from more than 100 medical centers throughout North America, Europe, and Australia who are dedicated to seeking treatments that make a difference for people and families affected by the disease. For more information about the Huntington Study Group, visit www.huntingtonstudygroup.org. “While disappointed with the delay, we remain hopeful and optimistic that the FDA will soon approve the second treatment for HD,” said Ray Dorsey, M.D., chair of the Huntington Study Group and director of the University of Rochester’s Center for Human Experimental Therapeutics (CHET). First-HD was conducted at 34 Huntington Study Group sites across the United States and Canada, enrolling 90 participants over 14 months, in the 13-week double-blind, placebo-controlled trial. Scientific, technical, logistical, and analytical support for the study was provided by the University of Rochester Clinical Trials Coordination Center (CTCC). The Clinical Trials Coordination Center is part of the Center for Human Experimental Therapeutics (CHET) and is a unique academic-based organization with decades of experience working with industry, foundations, and governmental researchers in bringing new therapies to market for neurological disorders. For more information about the Clinical Trials Coordination Center, visit www.ctcc.rochester.edu. Teva Pharmaceutical owns the rights to develop and sell deutetrabenazine in the United States, following its purchase of Auspex Pharmaceuticals last year. Deutetrabenazine is an investigational, oral, small-molecule inhibitor of vesicular monoamine 2 transporter, or VMAT2, that was granted Orphan Drug Designation for the treatment of HD by the FDA. A second deutetrabenazine trial, ARC-HD, which has completed enrollment, is investigating the safety, efficacy, and tolerability of the drug when individuals with HD switch from tetrabenazine to deutetrabenzine and the safety of longer term exposure. This trial, which includes participants from First-HD, is also being led by the Huntington Study Group and the Clinical Trials Coordination Center for Teva Pharmaceutical Industries. Teva is also investigating the potential of deutetrabenazine to treat tardive dyskinesia, a disorder that causes involuntary and repetitive movements, and for tics associated with Tourette syndrome. For media inquiries, contact contact HSG at +1 800-487-7671 or info@hsglimited.org.